Instead, it's slipped in piecemeal, by thousands of bureaucrats, in thousands of jurisdictions, via tens of thousands of commissions, councils, study groups, regulations, statutes, "guidelines" and studies. 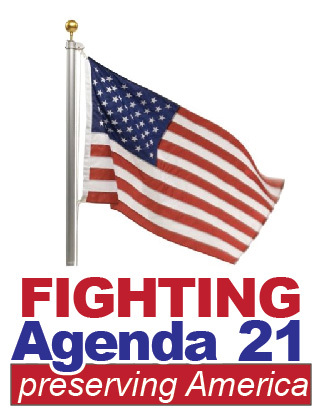 Those of us who are discovering what's going have been horrified to find out how far along it is, how it has become entrenched and the full scope of its real "agenda." 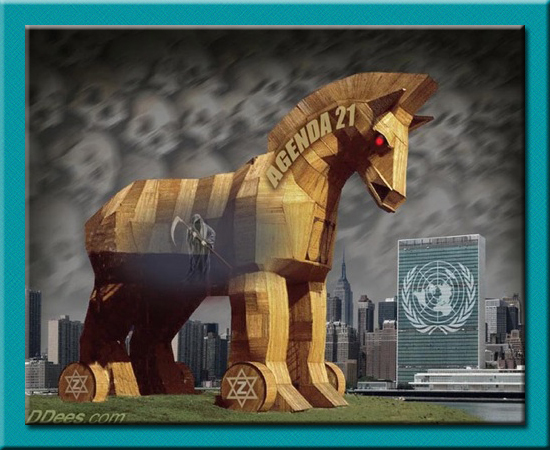 Agenda 21 is a 40 chapter master plan which specifies in detail how we, the citizens of planet Earth, are to live in the future. All aspects of life are covered. It further specifies how the Agenda is to be implemented. • The step by step abolition of private property, primarily through the implementation of the Wildlands Project and Smart Growth. • Control and ultimate reduction of human population. Now affecting several areas of Missouri. To find out what all this means and how it affect you, your property ownership please join us tonight. If you are unable to attend do some research on your own, get informed & educated on the subject because it’s right in our back yard! If I.C.L.E.I. has been in your area, they are an active tentacle of Agenda 21. To find out what all this means and how it affect you, your property ownership please join us tonight. If you are unable to attend do some research on your own, get informed & educated on the subject because it’s right in our back yard! Agenda 21 effects ALL Americans. 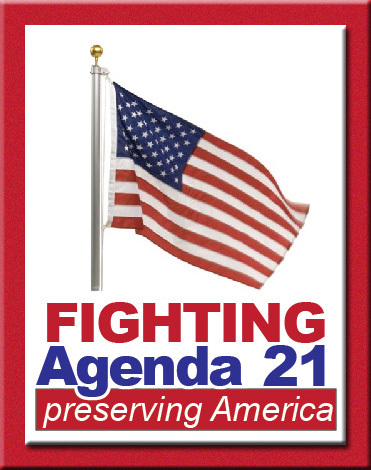 This fight against Agenda 21 is a nonpartisan fight!